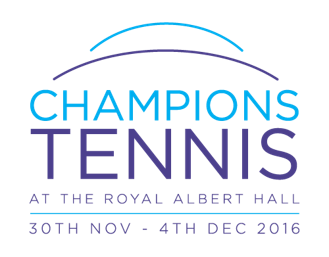 Focal Point VR announces that it will stream the finals of the Champions Tennis from the Royal Albert Hall, London in Virtual Reality. The VR broadcast of the matches is scheduled to start at 11:30am GMT Sunday 4th December. The Champions Tennis VR stream from Focal Point VR will feature a viewer controllable multi-camera POV and an ultra high definition 6k VR livestream. Focal Point VR is partnering with Webcast Sport and Streaming Tank to deliver this VR stream. Streaming Tank produce and broadcast live video content to destinations including websites, mobile devices, apps, secure intranets, social media channels, out-of-home screens and more. The Champions Tennis tournament organised by IMG is the season ending finale to the ATP Champions Tour. Former Grand Slam Champions, World No.1’s and national icons compete in one of London’s most famous and iconic venues.